It is nauseating to watch CNN shill Jake Tapper trying to use neuro-linguistic programming (NLP) on (D) Rep. Alan Grayson. Every time Tapper asks Grayson a question, Tapper nods his head in the direction of the answer he wants the viewer to believe as the ‘truth’ thus trying to persuade public opinion. This is how the mainstream media operates and why you should never trust them. Neuro-linguistic programming (or NLP) is a controversial interpersonal communication model applied in psychotherapy and other contexts of communication and change. It was initially co-created by Richard Bandler and linguist John Grinder in the 1970s based on the communication and behavioral patterns acquired from gestalt therapist Fritz Perls, family systems therapist Virginia Satir and psychiatrist Milton H. Erickson. The originators emphasize modeling of excellence as the core methodology of NLP, that is, the methods they used to imitate and produce the models of exceptional communicators. They also claim that the basic assumptions of NLP draw from aspects of neurology (“neuro-“), transformational grammar (“linguistics”) and cybernetics (“programming”). It has often been promoted as an art and science of effective communication and defined as ‘the study of the structure of subjective experience’. Others put more emphasis on the tools, techniques and applications specific to contexts such as psychotherapy, business management and communications training, motivational seminars, personal development, and teaching. “To be clear, it’s the administration that’s saying the evidence is undeniable (nods head “yes”) of a chemical attack. Even Tappper’s body posture is leaning to the “left” suggesting Grayson is a left-winger. This is similar to the “head nod” that car salesmen will use on you in order to control the conversation as well as your response. The car salesman will ask you questions that are most likely to be answered “Yes” by the potential customer. When it comes down to asking you if you would like to purchase the car, your mind has already been conditioned to say “Yes”. A classic case of NLP was observed when FOX News shill Sean Hannity questioned University of Wisconsin Professor Kevin Barrett regarding 911. The nightly news has been proven to be manipulated by the CIA in order to persuade public opinion while supporting state sponsored propaganda. Your best bet is to not watch or believe anything you see on TV and to go to alternative news sources, such as In5D Alternative News, for the news that the mainstream media fails to report. 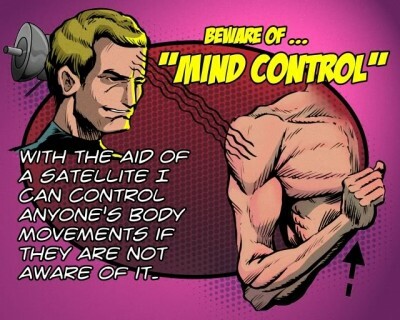 I highly recommend How To Deprogram Yourself because many of your family and friends have been indoctrinated into this system of control for way too long. These are the same governments who are responsible for poisoning our water, air and food supplies, all in the name of eugenics and rarely, if ever, work in humanity’s best interests. I would also recommend Global Unity Project: What The World Needs Right Now because it provides viable solutions to all of these issues. Previous94.4% of Crisis Aid Went to the Financial Sector; Surprise? Or Not?